I am so relieved that the weekend is here! This week was a doozy, to put it kindly. It all started last Friday, when I came down with the flu. By the end of the day, I was in bed with horrible chills and body aches. I was shaking uncontrollably and I kept telling my husband that it was the sickest I have felt in many years. When I woke up the next day, all symptoms were gone except for constant nausea and weakness, which lasted several days. Meanwhile, Lily got another UTI, I had a 3 day migraine, and we had $1000 in unexpected bills. Needless to say, I was ready to lose my mind. I only blogged once in one week, which hasn't happened in, well...ever! 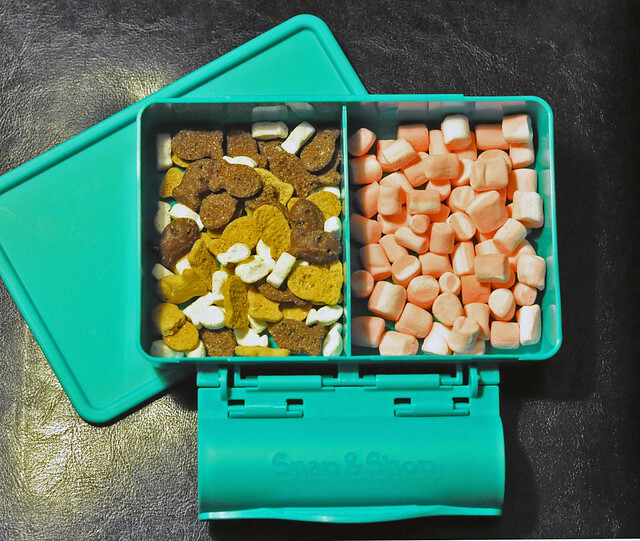 But I'm back and I'm ready to share a few of my current favorite things! What started as just a cute picture turned into a fun photo project! 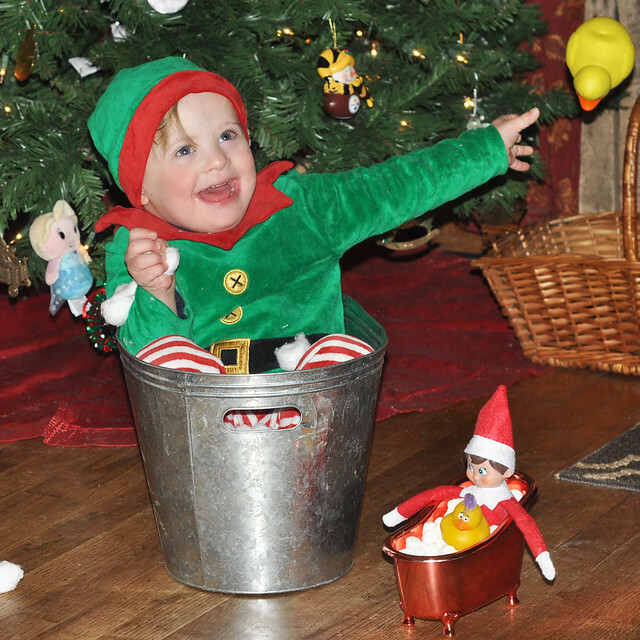 We're having so much fun having Liam recreate our Elf on the Shelf's adventures each day! I found a new location for photoshoots today. I shouldn't really say found. I literally drive by the spot at least 15 times a week, but I never thought to stop. It's perfect and I think we're going to go there for our Christmas photoshoot. 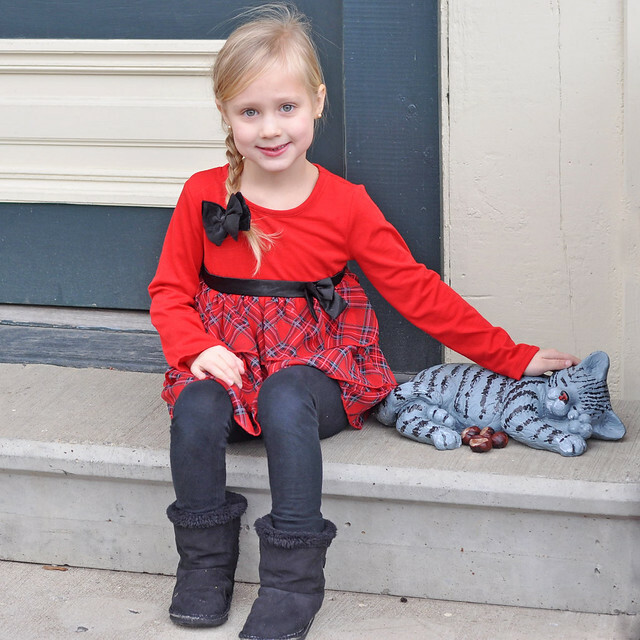 Lily jumped out of the car because she spotted the fake cat, so I snapped a few quick pictures in one of her adorable holiday outfits gifted to her from Healthtex! That wasn't the plan, but I managed to capture three cute pictures in the 30 second time frame! It was only 28 degrees and really windy, so we got out of there fast! Thursday is my busiest day of the week. I have to pick Lily up from Kindergarten at 11:40, drop Liam off at school at 12:30, run errands, race home for lunch, pick Liam up from school at 3:00, and race back home to get a few things done before we have to rush back out the door at 4:30. But Thursday evenings are my new favorite! Dylan has basketball and it's immediately followed by dance for Lily. Grant doesn't get home from the office until 7-8, so my parents come over to watch Liam and Lexie while we're gone. I'm not going to sugar coat it. I LOVE IT. My mom cooks dinner, does all the dishes and cleans up my house. It's such an amazing break after a long week. Meanwhile, Dylan's best friend is on his basketball team and his mom is one of my best friends so we get to chat for an entire hour. 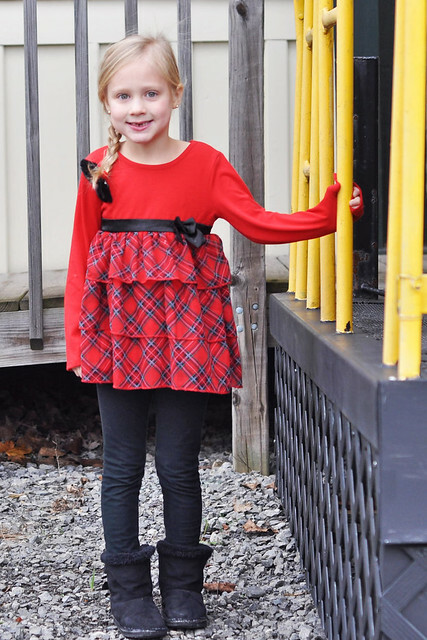 Then, at dance, Lily's best friend has class, too. Her mom is one of my best friends, so we get to talk. I get over two hours with friends, get a break from all of my kids (it's needed at times), and I come home to a clean house and a fully cooked meal. WINNING. 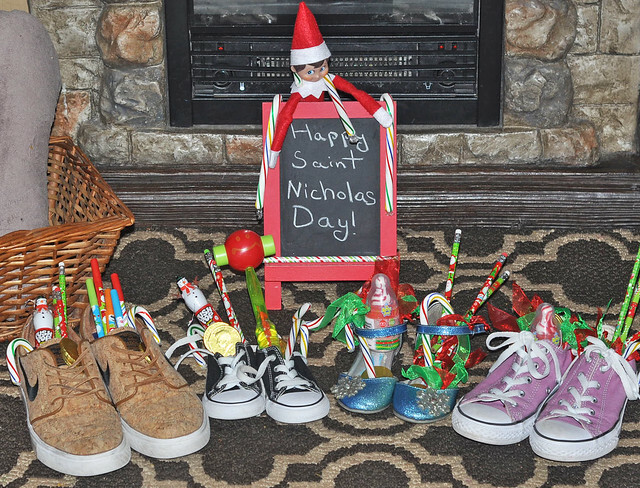 We added a new tradition to our list this year: Saint Nicholas Day! My dad's German/Catholic family celebrated it when he was a child, but none of his children carried on the tradition. I decided that it was time for us to carry it on in honor of my dad and his family! The kids put out their shoes before bed and they were so excited to find them filled with gold coins, candy and a little treat the next morning! Lexie is currently reading a book we received for review called The Briefcase of Juris P. Prudence by J.N. Childress. She is an avid reader and she is loving this book! 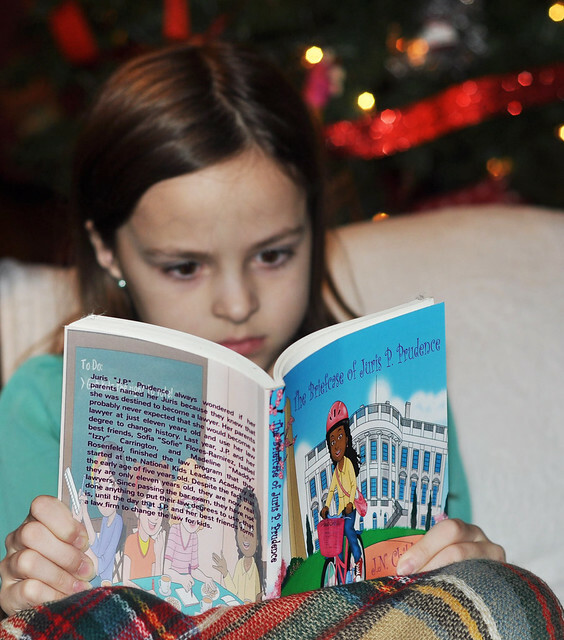 The book is about J.P. and her friends, who are child lawyers. As I type this, Lexie is nearing the end of the book, so her thoughts will be coming soon! You can purchase this book HERE. 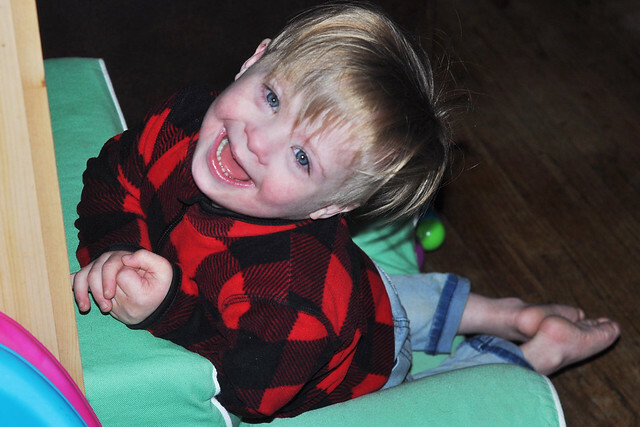 Liam, like many other toddlers, gets into everything! I couldn't take it anymore, so I had big plans to go around my house and childproof the hot spots. 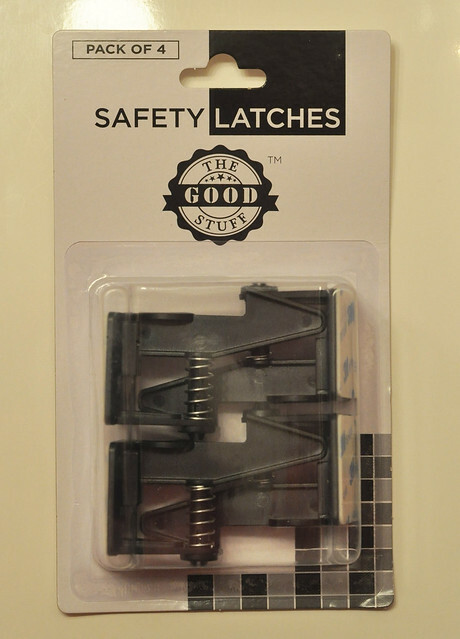 Safety Latches from The Good Stuff arrived JUST in time! 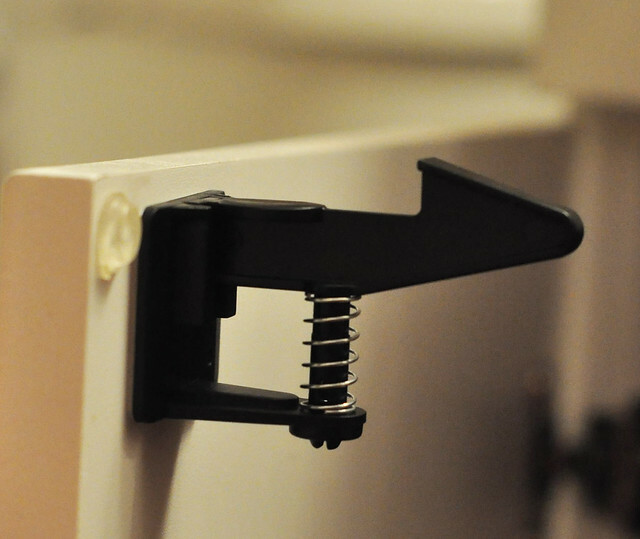 I'm not one who was ever big on child proofing. One of the reasons was because I hate all the complicated installation methods. 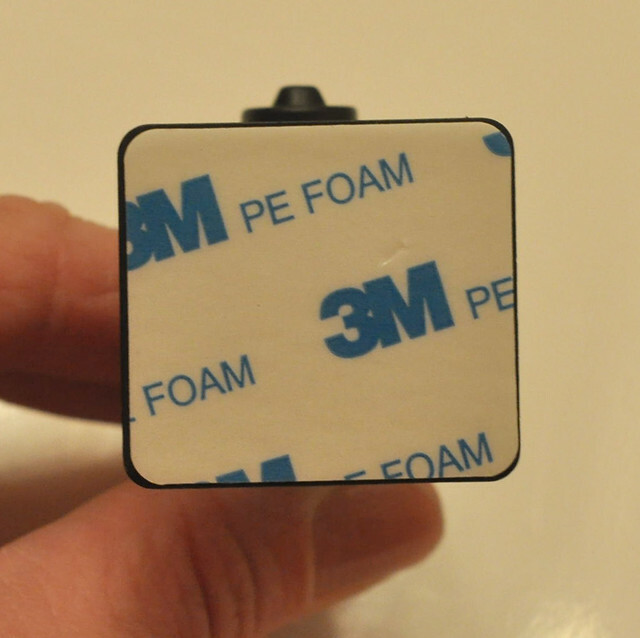 The safety latches from The Good Stuff are a cinch to install thanks to the 3M adhesive backing, and they work PERFECTLY. 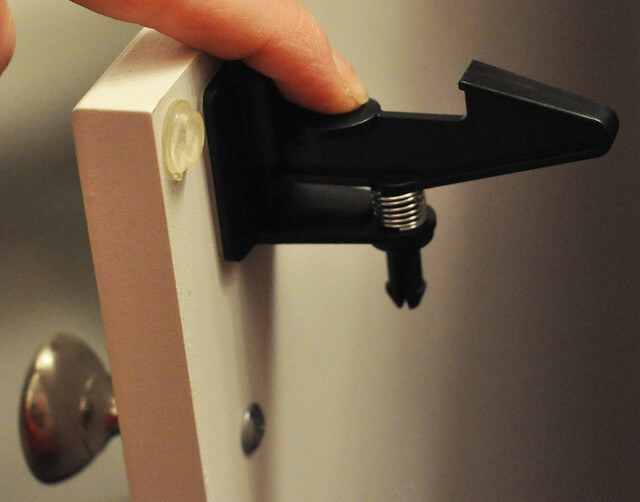 Unlike many other latches that often take an engineering degree or super strength to open, these latches open with just a light push down on the latch. I highly recommend these to any parent! 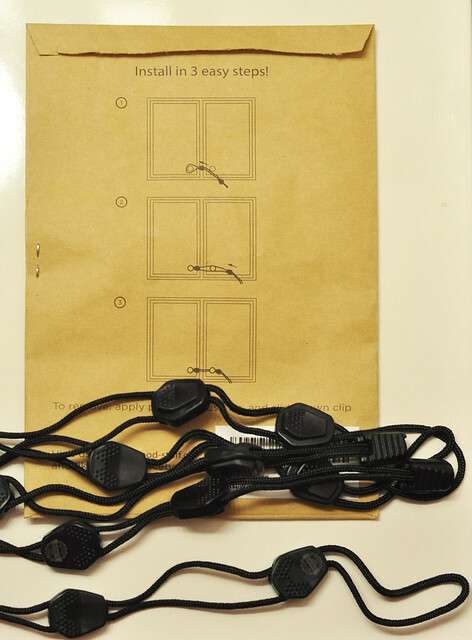 Although we don't have the style of cabinets that will work with the safety ties, I have them stashed in my bag for child proofing on the go! Let me just say that they already came in handy at the doctor's office. They were really easy to use! 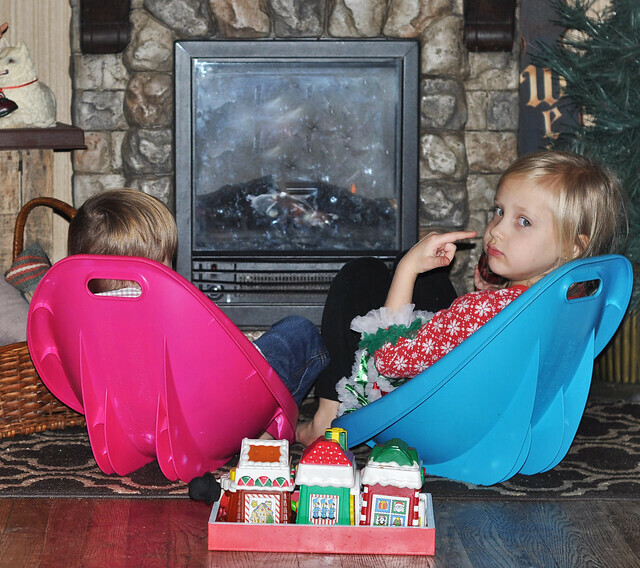 Lily and Liam got these scoop rockers for Christmas last year. At under $5 each, they are literally one of the best purchases I've ever made. They use them ALL the time! I always love to end my favorites with a big dose of joy! And who better to spread love and joy than Liam?!? 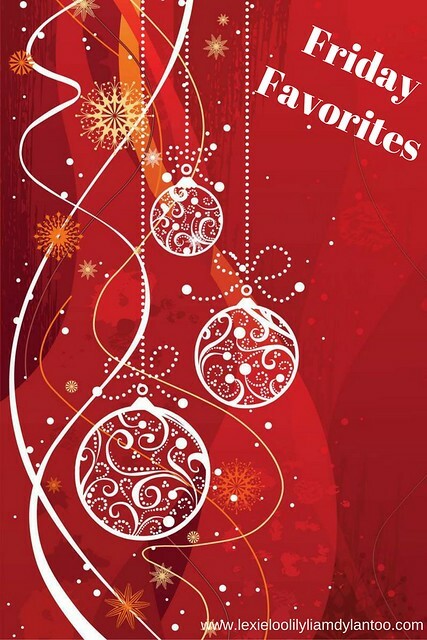 I hope you all have a wonderful December weekend! What do you have planned? I'm sorry you've had such a rough week. I hope it ends better than it started. Liam recreating the elf fun is cracking me up!! I love it so much!! Those scoop rockers are AWESOME!! I need to get a few for my kiddos. I'm so sorry you were so sick!! I've only been sick like that once in my life and I literally thought I was dying. So glad you're better!! Your Thursday break sounds AMAZING!!! 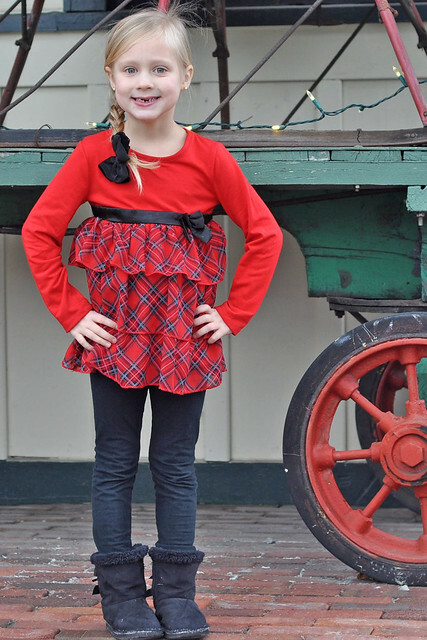 I love when my daughter has dance because it's also with her best friend and her mom is my bestie and we chat the whole time, it's awesome :) We did St. Nicholas day for the first time this year and the kids LOVED it. Happy weekend! Oh my goodness, Stef, what a rough week! I sure hope everything gets better for you soon! Sorry to hear about the illness and unexpected medical bills. Hope everyone is feeling better! I'm totally in love with that life-sized Elf on the Shelf! Absolutely adorable! And I'm jealous of that Godiva box! Woah! Oh goodness lady I am so sorry that you had a rough week. We have been fighting off the sickies around here too. I hope that you are feeling recovered.